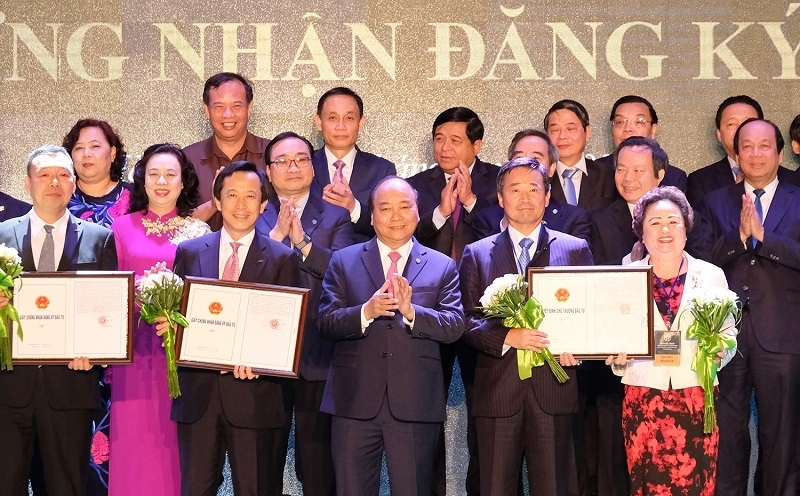 This morning at the Hanoi 2018-Investment and Development Cooperation conference, Hanoi granted investment certificates and awarded decisions of investment agreements to 71 projects with a total registered investment capital sum of VND397.33 trillion (over $17.65 billion). The projects included 11 foreign-invested projects totalling at VND130.06 trillion ($5.4 billion) in capital and 60 domestically-invested projects worth VND267.27 trillion ($11.87 billion). 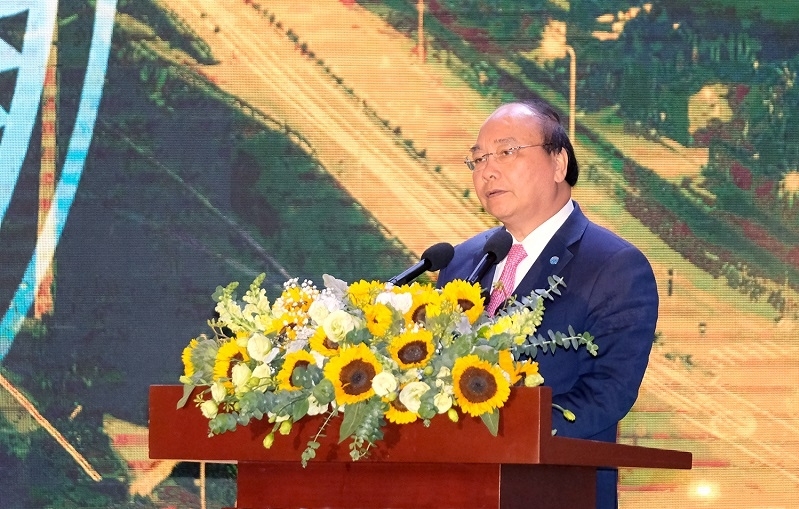 What is more, the conference included the ceremony of exchanging Memoranda of Understanding on investment cooperation between Hanoi, neighbouring cities and provinces, and the Management Authority of Hoa Lac High-Tech Park, as well as enterprises in the fields of smart city, education development, high-tech agriculture, healthcare, tourism, and environment. 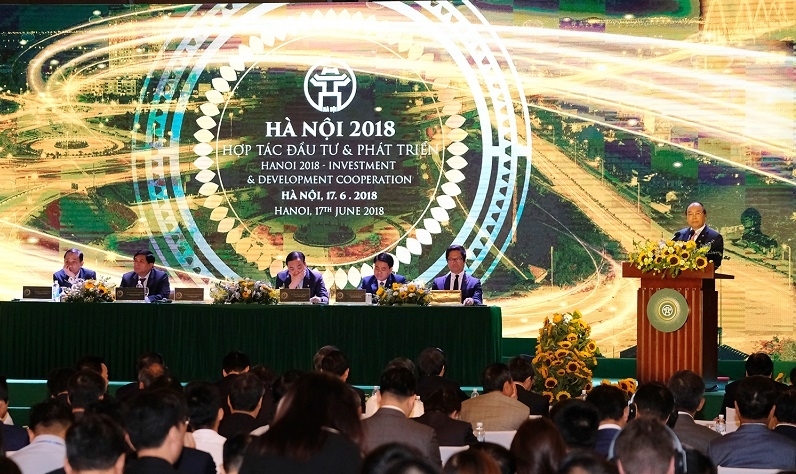 The Hanoi 2018—Investment and Development Cooperation conference is the third consecutive annual edition, showing Hanoi’s strong commitment to improve the business climate. The event attracted the participation of more than 1,500 delegates, including leaders of the government, ministries, central agencies, and cities of the Northern Key Economic Region, the Red River Delta, as well as representatives of diplomatic offices, international organisations, and domestic and international enterprises. Over the past two years, Hanoi’s business climate has improved much, boosting its standing on the provincial competitiveness index (PCI) and a much enhanced administrative system. Hanoi’s economy has maintained a steady growth of 7.15 per cent in 2016, 7.31 per cent in 2017, and 7.07 per cent in the first six months of 2018. “In the months to come, Hanoi will prioritise calling for investment in high-tech, clean energy, housing projects for workers, waste treatment plants, high-tech agriculture, universities, vocational schools, and the manufacturing and supporting industry,” said Nguyen Duc Chung, Chairman of the Hanoi People’s Committee. As of June 15, 2018, Hanoi licensed 4,300 foreign-invested projects with the total registered capital of $33.38 billion. The sum included $12.46 billion attracted in 2016, 2017, and in the first half of 2018, making up 59 per cent of the total FDI attraction in 1986-2015. In the first half of 2018, Hanoi lured in $5.91 billion worth of FDI, becoming the most attractive destination among the nation’s 63 cities and provinces.